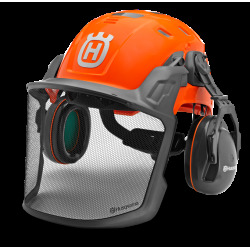 Husqvarna's protective gear is designed with the same craftsmanship and attention to detail as our tools. 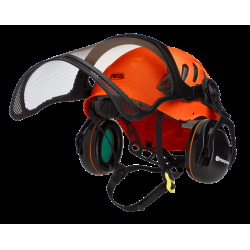 The head is one of the most vulnerable parts of the body, that's why when working with powerful gardening equipment it is important to wear a safety helmet. 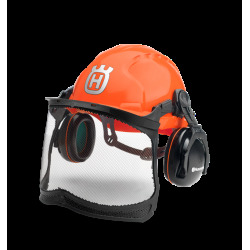 Husqvarna offers a range of protective helmets for both professionals and domestic users. Professional foresters aren't strangers to high noise levels. 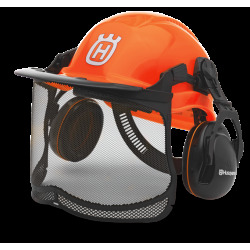 Husqvarna hearing protection gear comes in several versions, with a padded headband, FM radio and with or without a visor. Visors, glasses or goggles - there are many ways to protect your eyes. We know what's needed and offer you a complete range of eye protection for every possible requirement.